The La Quinta Inn & Suites Bakersfield North has been awarded the 2018 TripAdvisor Certificate of Excellence award, and has earned this award consistently over the last 5 years. The La Quinta Inn & Suites Bakersfield North is a comfortable retreat, ideal for visitors to Sequoia National Park and other popular area attractions. From this convenient location, you can reach Buck Owens Crystal Palace, the Kern County Museum, California Living Museum, Mesa Marin Raceway, Famoso Raceway, and many other points of interest in minutes. There are eleven restaurants within a 5-mile radius of the hotel and shopping opportunities available at nearby Northwest Promenade. Take a refreshing swim in the indoor pool, or relax in the spa, after working out in the convenient on-site fitness center. 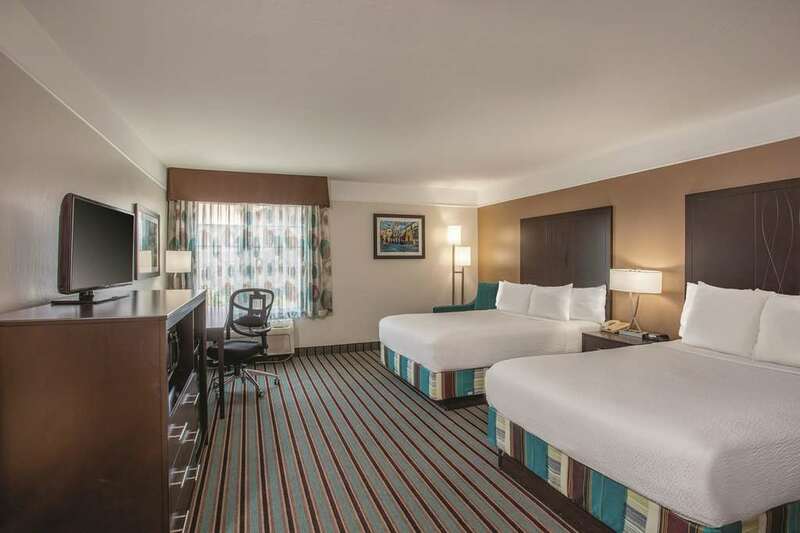 Enjoy free high-speed Internet access, a coffee maker, hairdryer, and much more in each spacious guest room.